Currently viewing the category: "Oxford Instruments"
New! 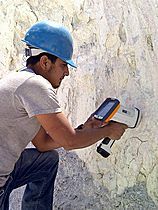 Special Summer Rental Program for Handheld XRF Analyzers for Exploration Work! Oxford Instruments developed an interesteing and useful application for iPad, that mining and metallurgy professionals will love!